Tim Allen leads the Inclusive Design and Fluent Design teams at Microsoft, focused on human-centered design thinking to envision the next computing evolution. His experience leading creative teams in product, software, and experience design fuels innovative cultures building technology that empowers people to do their best work. Prior to Microsoft, Tim led Amazon’s Product Design Studio as Executive Creative Director leading the experience design for Echo, Echo Show, FireTV, and Kindle products. 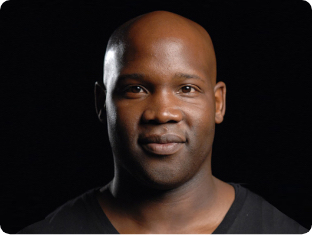 He also led R/GA’s 100+ UX designers as a Global SVP/ECD at the helm of Nike’s global digital ecosystem. Through innovative work with Adobe, Red Hat, and IBM, Tim holds several patents related to software design, ranging from chat interface modeling to mobile device synchronization. Tim’s work has also been recognized with several of the industry’s most esteemed awards, including multiple Cannes Cyber Lions, D&AD, ANDY, Webby and OneShow awards. He was named one of Fast Company’s Most Creative People in Business in 2017 and one of Creativity magazine’s Creativity 50 in 2013.